Ground Limousine Transportation including but not limited to: Wedding, Proms, Bachelor and Bachelorette Parties, Birthday Parties, Airport Transportation, Night Out, Concerts, Funerals, but not limited. Whether it is transportation around the town or across the state, we are your limousine service. Please contact us for a consultation for your special occasions. CD/DVD/AM/FM Radio with i-Pod/MP3 Player connections, wet bar, 2 beverage wells, glass stemware, privacy divider, mints and water. Special items upon request. Great experience from booking, to confirming, to picking up, driving, and helping to educate us about the area since we were from out of town. Carl and his team of drivers are top notch, highly recommend! Carl called and texted the night before pickup to re-confirm all of the details. He arrived 15 minutes early in a beautiful limo, was well dressed, drove our group of 5 to the airport, and handled all the luggage. Our flight ran multiple hours late returning to Baton Rouge. Carl tracked the flighted and met us just before midnight in a limo bus. It was good to see him, after we had travelled nearly 24 hours. The limo bus was a real luxury, as the 3 children stretched out and slept on our way home. We highly recommend Carl and Distinct Limousine Service! He made our transit to and from the airport safe, pleasant and carefree! The top AR readers at our school received a limo ride to Gatti's Pizza. Our driver Cody arrived on time, was professional, friendly, opened our doors, and provided cold beverages for us! The limo was spacious and comfortable! This was a moment our students will never forget! I would highly recommend this limousine service! Thank you for the memories! We used Distinct Limousine Service for an Accelerated Reader reward trip yesterday. Mr. Dawson, the owner, was wonderful. He set everything up for us and was easy to contact with questions. Our driver, Cody, was great! He was a true chauffeur, opening doors for the kids. They even had drinks on ice and candy for the students... they all felt so fancy! Thank you so much for a wonderful day! Carl Dawson and his team were fantastic, I used this service for 2 weddings, the drivers were kind, courteous, prompt and very patient, the cars were beautifully maintained, my experience with Mr. Dawson was fantastic he helped me to make my childrens wedding perfect. I will continue to use this service in the future.. Thank you to everyone at Distinct Limousine Service..
Celebrated my sisters 14th birthday party with this company and it was awesome!!! The kids definitely had a blast and they kept it entertaining for me as well. Our driver, Cody, was super nice, great driver and has tons of patience with roudy kids! Definitely wish we would’ve had more time!! 2 hours fly by when you’re having fun!! I had my daughter's Surprise 13th Birthday Bash back in March of this year and meant to write a review and it slipped my mind... I gave her a birthday dinner at a really nice hibachi restaurant and Mr. Carl made arrangments that allowed me to come early that morning and decorate the Boogie Bus of my choice, he also had his driver pick the entire party up after dinner at the restaurant! 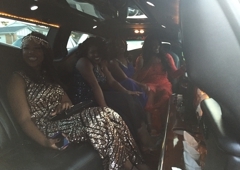 I recently celabrated my 41st birthday with nine of my family and friends, and I used Dicreet Limo service and i was very pleased. Mr. Carl was prompt, kind, courteous, and professional. The Limo was clean, cool, and a complimentary bottles of champagne. Ice was in place, and the glasses were clean. I brought my own cd, and the music was aewsome, and very clear. I will be using this limo service for all of my future events and reccomend to all. Thank you very much Mr. Carl. I wanted to thank you for your professional service that you have shown me in helping my daughters First Prom and the driver for their safety. As a single and widowed father you have greatly help my daughters in the beautiful night my girls had thank you so much. I have three more years of proms to prepare for so if all works well I will like to continue using your services as the limousine company of my choice. Thank you in advance for the next 3 years of Proms I have left for my girls. Carl Dawson and his team were fantastic to deal with. I recently booked their limo bus for 8 businessmen for a return trip to Lafayette from Baton Rouge and it was a great success. Carl was very helpful and went above and beyond. A very good option for business transportation needs as well as social. I recently used Discrete Limo for my wedding and the service was awful. My groom and groomsman had to ride to the ceremony in a HOT limo in June with the windows down since the AC was not working and arrived at the ceremony sweaty. When Mr. Dawson was contacted he said that not having AC was not considered an inconvenience in a very rude tone. I guess since he required CASH for the last payment he didn't care enough to reimburse my mother back for this major inconvenience. He probably requires CASH for the final payment since he knows he offers inadequate service which has already been reported to the Better Business Bureau. NEVER AGAIN!!! Do not think about renting from anywhere else. 100% professional. Car was spotless, stocked, gorgeous. All the bells and whistles. Made a fun night an unforgettable one. Very satisfied customer. 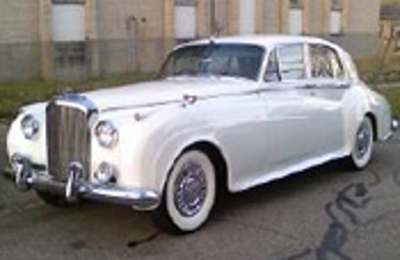 We recently used Discreet Limousine service for my son’s prom. Carl and his staff were and are very courteous and professional. The staff’s wiliness to accommodate me made me feel that it was the right source for transporting my son to and from prom. Lander, who served as the driver for the event, made sure that we knew that the kids and their safety were her top priority . She was truly a blessing. I am looking forward to using Discreet Limousine service for my next event. PROFESSIONAL!!! GREAT SERVICE!!! COURTEOUS AND FRIENDLY STAFF!!!! I decided to treat my girls to a weekend in Miami, we were to fly out of New Orleans airport and I wanted this to be a special trip for them. I thought a limo ride would be perfect. And it was! Carl was fabulously fantastic! He was prompt, professional, courteous, and a total gentleman. This will be the only limo service I use from now on! The service was grade A! The driver was nice ! We made our reservation on time & we had a great time !